What makes a good Chinese New Year(CNY) jam? Zillions of “kampung”-bound city-dwellers trying to fit into the North-South Highway. This CNY,instead of travelling to the east coast where my husband,TC’s “kampung” is,my in-laws decided to celebrate the reunion dinner in Penang instead,where their eldest son lives with his family.So,we dutifully planned our trip up north via the infamous highway.TC and I decided that we would leave late.”Let everyone else go first and get caught in the traffic jam,and by the time we leave,the highway would have cleared considerably”.So we thought.Sigh!! We arrived safely in Penang just after 5am,and practically collapsed into bed! Some snippets from CNY 2007. My youngest,Lu-Zheng, played so hard that he fell asleep almost into his food during the fanily dinner on CNY eve. I was determined to re read my all time favourite by JRR Tolkein,the Lord of the Rings(for the 4th time,actually). In recent years,there has been a lot of studies done on the possible links between gum disease and several common systemic diseases. Diabetes is a disease where the metabolism of glucose in the body is impaired .Glucose is a necessary fuel for all our body cells to function properly.Therefore,when glucose is not metabolised,cells begin to break down and malfunction.Persons with uncontrolled or poorly-controlled diabetes will be much more prone to rapid bone loss from gum disease.Gum disease as we know now,is caused by the presence of plaque and calculus.Therefore,in a nutshell,poor oral hygiene and uncontrolled diabetes is a sure prescription for losing one’s teeth.However,good oral hygiene will prevent gum disease even in the presence of diabetes. There has also been published studies on the link between the presence of severe gum disease and cardiovascular disease,particularly the occurance of stroke.Our liver produces a protein marker called C-reactive protein(CRP) in the presence of inflammation.The concerntration of CRP in the blood determines the amount of inflammation caused in a stroke. And in periodontal/gum inflammation.It is currently believed that the severity of periodontal bone loss in gum disease may serve as a marker for susceptibility to heart disease or a stroke. In one of the publications by the British Medical Journal in 1989,it stated an association between dental health and acute myopcardial infarction ie heart attack. Acccording to articles published in the Journal of Periodontology,pregnant women with high levels of pathogenic(disease causing) bacteria in their mouths are at high risk of delivering preterm babies with low birth weight. And from researches done and published,individuals with uncontrolled gum inflammation are also 4 times at risk of developing Alzheimer’s disease. In one of the most recent publications by the Journal of National Cancer Institute,dated Jan 17 2007,the Harvard School of Public Health has actually found a relationship between periodontal/gum disease with the increased risk of pancreatic cancer.In this report,an individual male with periodontal disease is 64% more likely to develop pancreatic cancer in his lifetime. All these researches,publications,reports blah,blah may mean nothing to most of us,but I do believe that it is good to be aware of the risks that are involved and not to become slack in mantaining our oral and dental health. Zig Ziglar,a famous moitivational speaker and author(and incidentally one of my heroes) once said,”When you choose a habit,you are choosing the RESULTS of the habit”.How true! If we choose to brush and floss well and have our regular dental check up and scaling,we are choosing to have good teeth and healthy gums and inevitably, a healthy body. 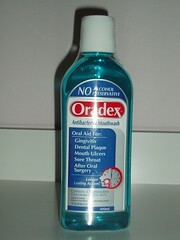 How can we keep our teeth and gums healthy so that they last us till our old age and still functioning? Daily brushing and flossing will help to eliminate the main portion of plaque from our teeth.Done PROPERLY.If you do a 30 second job on your tooth brushing,you are not going to get rid of the zillions of bacteria proliferating all over your teeth and gums.And if you do not floss,all the plaque sitting comfortably in between all your teeth and within the gums will be more than pleased to have a ball! Daily cleaning will keep calculus formation to a minimum,but regular visits to your dentist is important too.Professional cleaning done evey 6 month by your dentist will remove the tartar from places where your tooth brush and floss had missed. If you have been diagnosed with gum disease,then the treatment that follows has to be aimed at controlling the existing infection and stopping the progress of the disease.Your treatment options range according to the severity of the disease. 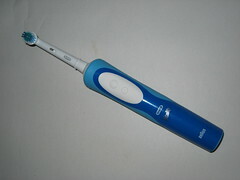 Whatever the treatment options,the most improtant thing to remember is still to keep your teeth clean by proper brushing and flossing.Your dentist may recommend some specialise toothbrushes like power brushes which runs on rechargeble batteries and has a smaller rotating brush head,to get more effective cleaning. 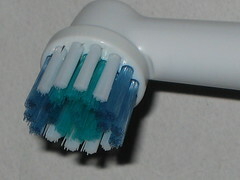 You can also use a regular manual tooth brush but the bristle must be soft .The soft bristles can reach the crevices of the gums better and will irritate the gums less.You may also be required to return for your professional cleaning at the dental clinic more regularly than the half yearly visits.Your dentist may also recommend mouthrinse and toothpastes that contains active ingredients like chlorhexidine in mouthwashes and triclosan in toothpastes, to help fight gum disease.Chlorhexidine,as much as it is an effective antibacterial agent,binds to tannin which is found in tea,coffee and red wine and causes staining on the teeth with long term and regular use.Examples of chlorhexidine mouthwashes are Oradex. 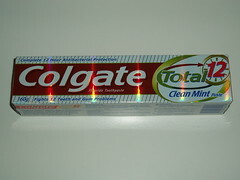 Triclosan is an extremely potent anti-bacteriai agent found in certain toothpastes,one example is Colgate Total. If your gum disease has led to substantial bone loss that causes your gums to recede considerably,your dentist may have to do a deep scaling and root planing on the affected teeth.Root planing is a treatment where the exsposed and roughened root surface of your teeth is smoothened to eliminate and prevent bacteria collection.This procedure will have to be done under local anaesthesia. This is a comparison between healthy periodontium on the left and bone and gum loss on the right due to poor oral hygiene.The condition can be arrested but will never be restored back to its original level.It is infinitely easier to prevent it by good brushing and flossing habits than it is to stop it onces it starts!! Your dentist may also presribe an adjunctive antibiotic regime along with the scaling and root planing that is done.However it has to be stressed that antibiotics will only work IN ADDITION to root planing and stringent daily oral hygiene. Poor oral hygiene is the primary cause of gum disease,but other contributary factors include smoking and paranormal jaw functions like grinding and clenching.There has been many published researches since year 2000 on how smoking plays a significant role in more than half the gum diseases that has been diagnosed.THerefore,for smokers,quitting smoking is one of the most important steps to regaining gum health. I will be writing a little bit more in my next post about the links between gum disease and some of the common systemic diseases that are prevalent,like hypertension,heart disease,stroke,diabetes and of late,pancreatic cancer. Most people think that it is normal to have bleeding gums when they brush their teeth.They only get a little alarmed when their gums bleed spontaneously,and rush to the dentist to have it seen to.That is a very sad thing.What if they wash their hands and it starts to bleed?That would worry them sick! I believe the ignorance on the bleeding gums is due to the fact that there has not been enough education going around on the importance of gum health and the severity of it having gum disease that is left untreated. So,what is gum disease?In a very simple way,it is basically colonies of bacteria growing around the gum area and these bacteria produce toxins that gradually destroys the tissues surrounding the teeth.This eventually lead to much destruction of gums and bones supporting the teeth. How does gum disease occur?It begins with plaque formation on the teeth,which is the sticky yellowish substance you find on your teeth when you do not brush your teeth.Plaque is basically packed with bacteria.When it is excessively accumulated,it will harden to form tartar or calculus.And tartar will bind tightly to the teeth surface and can only be removed by professional cleaning at your dentist’s clinic. At the early stage of gum disease,the gums will be swollen and will bleed easily ,usually during tooth brushing.This is what we call gingivitis,ie inflamation of the gums.If left untreated,it will progress to a more severe condition where the inner layers of the gums and bone will separate from the teeth.The gums will recede and roots will be exposed.At this point,the periodontium(tissues surrounding the teeth) are inflammed,hence the condition called periodontitis. Our body’s immune system will fight the bacterial toxins by producing enzymes to counter it.The potent combination of toxins and enzymes will cause more severe destruction of the periodontium.As more gum and bone tissues are destroyed,deep pockets will appear on the gums. 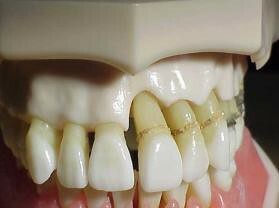 So,what are the signs and symptoms of gum disease? I will be talking about prevention and treatment of gum disease next.It is important to be aware that gum disease is very prevalent,and it has serious consequences on our general health.More about this in my next article.